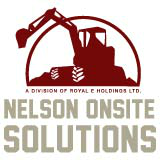 Nelson Onsite Solutions is your experienced excavation contractor in the Nelson, BC area, with over 20 years in the field. Whether you’re a new homebuilder or renovating, Nelson Onsite Solutions can handle all of your excavation tasks. Owner Bud Edgar wants to share his extensive resume of excavation, drainage, soils training, septic system and landscaping construction experience in hopes that your residential building and landscaping projects go smoothly and yield beautiful results. He can help increase the value of your investment property by a “get it right the first time” philosophy and methods which includes efficient service and professional workmanship. Our staff is uniquely capable and qualified, so give Bud a call. What sets Nelson Onsite Solutions apart is the way we can help you plan. After all, it all starts with a good design. We combine complete excavation services with a keen understanding of all types of drainage improvements, site development, water line and sewer line repairs and leaky basement solutions. We invite you to look at our website photos of past jobs which show our skilled landscape construction and how we can combine natural rock or manufactured block for functional yards. We also do driveway improvements for good measure and a very smooth ride. If you are looking for the expert advice and professional service in Nelson and area, you are now on the right track! As his dream job, Bud enjoys helping folks build and repair. And, he has been following his dream for most of his life. He continues to share all his construction experience in a way that can help people live better lives. Please read on and feel free to give a call to chat for any questions. You will always find Bud pleased to take time and discuss your projects.